operations ramp is just to the right of the approach end of the runway. The home field for the Trail FACs until September 1968 was located inside the historic citadel at Hué. The traditional name was Tay Loc. 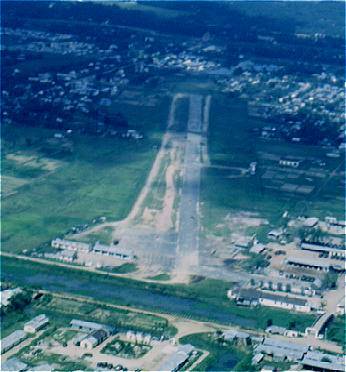 The official title was Hué Citadel airfield. We referred to it simple as Hué Cit. The Hué FACs were in the process of transitioning to the new O-2A just prior to Tet 1968. The first four Skymasters had been delivered to Hué Cit on January 30th, the day prior to the attack. These aircraft were destroyed on the ground in the early fighting along with the four O-1s they were to replace that had not been flown out. The airfield was the base camp for the elite Hac Boa (Black Panther) ranger company, the personal body guard for the 1st ARVN Divsion commander. The Hoc Bao made a valiant defense of the airfield during the early hours of the first attack, but then withdrew east to spearhead the defense of the division headquarters. 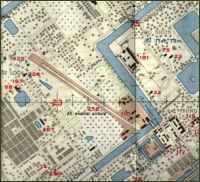 Click for more on the Hac Bao and the airfield defense. 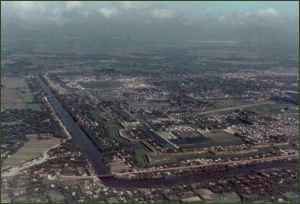 The post-Tet photo at left shows the Trail opeations ramp at the southeast end of the runway (just to the left of center in the picture). The larger view (click photo) shows the revetments for our aircraft and one O-2 on the ramp. Across the runway are three CH-34 helicopters from the VNAF 219th Squadron (the Kingbees) used to support ARVN special operations missions. 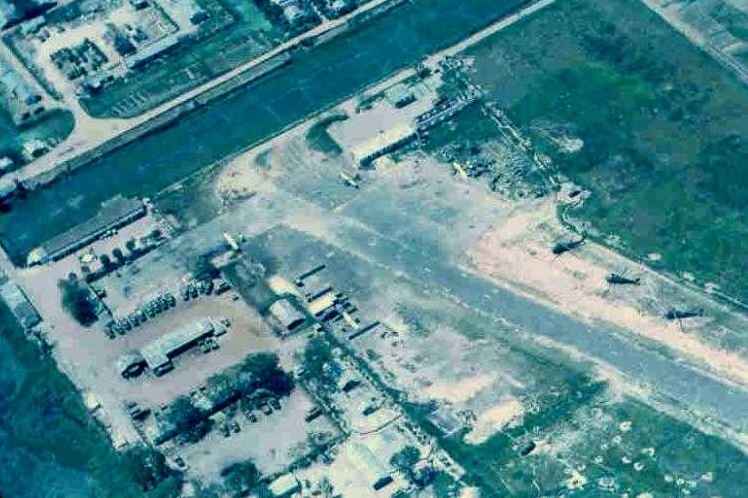 Directly across the runway from the Trail ramp (in the grass) is the wreakage of the O-1s and O-2s lost in the first hours of the Tet attack. The west corner of the citadel at Hué showing the airfield. Seventh Air Force, the headquarters commanding all US Air Force units in Vietnam, set a requirement of at least 3,000 feet of runway to operate the O-2. The Hué Citadel runway was 2,400 feet long, and we operated from it under a waiver. The O-2 was relative new in 1968 and apparently had been shown to be capable of operating safely from a shorter field. This was deceptive. 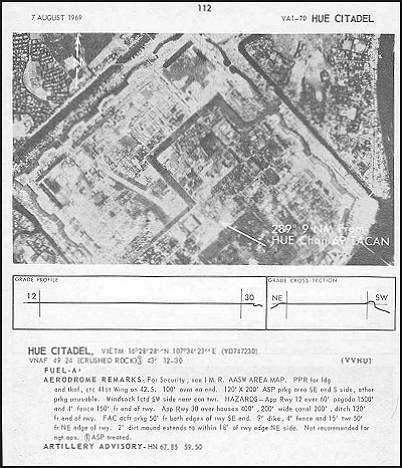 Flight Inforamtion Publication (FLIP) Tactical Airfield plate for the Hué Citadel airfield. I was initially excited to be assigned to the O-2 after I arrived in Vietnam. The second engine suggested more power and safety, and newer was better, right? Unfortunately, the airplane proved to be something of a dog because of the weights, configurations and hot, humid conditions at which we operated. This tepid performance almost proved my undoing during a very heavy takeoff on a hot day in the summer of 1968. Click here for that story. During a wet period that fall our ALO ran an airplane off the end of the runway, and shortly thereafter O-2 operations were terminated at Hué Cit. 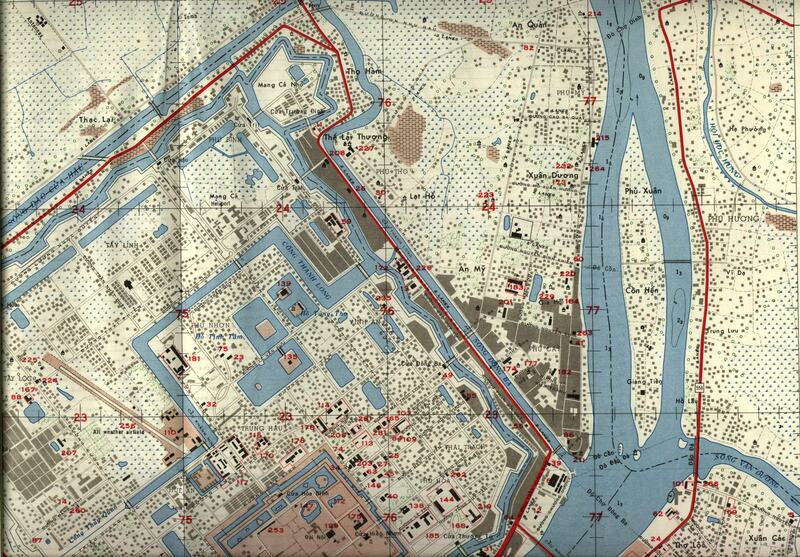 We moved our operation to the Phu Bai airfield ten miles south of Hué.